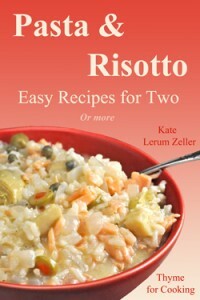 ← Grilled Scallops and Prosciutto on Tarragon Cream; It’s all in the name..
Fresh Tomato Soup; Good Reads! Quote from “The Book Thief” by Markus Zusak. This is the story of a young girl, Liesel, living with a foster family just outside of Munich, and what it was like when the bombs started falling. The story is narrated by Death, a very busy guy…. I have learned more about WWII in the last few years than I ever did during my formal education. And it’s not a subject I’m particularly interested in. I’m not a ‘war buff’ and my imagination is far too vivid for reading about battles, tortures, and the like. But WWII is much closer here in Europe. I’ve met people who vividly recall ‘the occupation’; ‘the blackouts’; ‘the raids’; and rationing (which went well into the 50’s). What I have learned about the war is not about the battles, the camps, or the fighting: It’s about the people who lived through it. I’m currently reading “The Book Thief”. Death has a, well, rather macabre sense of humor as he tells Liesel’s story. Also the story of children, this time in occupied France, what happened in their village, and how it affects a woman trying to return home 50 years later. The occupation affected Parisians and country folk differently, and yet, the same. The author, a prominent (Jewish) writer in Paris at the time, was writing series of 5 novellas on life during the war. Unfortunately, she was discovered and sent to Auschwitz, where she died before she finished. This book is first two novellas, recounting what it was like in the early days. … I bequeath the remainder of my estate.” Solange de Valnay was not pleased to learn her beloved father wasn’t really her father, and that her mother had had an affair in Paris during the war. Her half-siblings, in Ireland, weren’t too happy about their father’s deathbed proclamation either. What happened in occupied Paris? These aren’t summer, beach reading. All of them are very well-written and first-rate page-turners; but one is forced to think. And to try to comprehend what it was like being a European during that war and the day-to-day terror of living. Don’t let those dire words put you off – they’re good stories, and, amazingly, have quite happy endings, so to speak. Or at least endings that are appropriately pleasing to the reader. 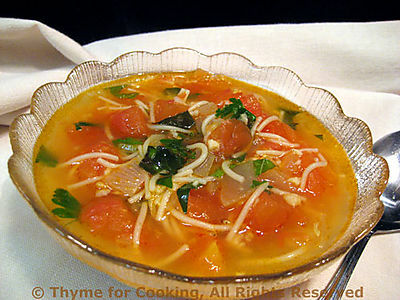 While you’re reading, you can be enjoying this lovely, autumnal Fresh Tomato Soup – appropriately pleasing to the eater. It does have pasta in it: Vermicelli, which qualifies it for submission to Presto Pasta Nights. This week, PPN is back home with Ruth, the founder and author of Once Upon a Feast. Visit her blog on Friday for all the delicious dishes! Finely chop onion and garlic. Sauté in medium saucepan in olive oil over medium heat until soft and transparent, 7 – 10 minutes. Peel tomatoes and chop roughly. Add tomatoes to onion and garlic and sauté for 5 minutes. Add chicken stock and pasta, cover and simmer over low heat for about 10 minutes, depending on pasta, stirring every few of minutes so pasta doesn’t stick. Remove from heat, add herbs, vinegar and serve. I think I originally found this in a William-Sonoma book…. but that memory is lost in the mists of time. Perfect for those last few tomatoes, sprigs of herbs and cool nights! Soup looks so delicious especially as it is getting cold here. I’ve read “Five Quarters” – excellent! The last time we went to Paris we were with a Jewish friend and her presence brought to our attention all the reminders that Paris contains of the deportations to the death camps. It deepened our understanding of the hardships of that time for so many French Jews. I’m just reading “Suite Française” and the portraits of people fleeing Paris are fascinating. A bit hard to take, I agree, but one definitely learns about aspects of the war beyond the battlefield. Happy Cook, I’m told it was a challenge feeding one, let alone 4! Zoomie, I’ve wandered through the Jewish quarter, years ago. It would have more meaning now. Betty, reading about some of those characters made me really wonder what I would be like in that kind of horror! I noticed the other day at the library that they had Suite Francaise. Now I will pick it up! Nice little review! I love books so I am always looking for something to read. I just finished reading Stephanie Meyer “Twilight” series. Great series on vampires, but not the bad ones! I highly recommend them for something light and fast paced. Soup looks so nice and fresh! Very interesting list of reads! I guess I’ve always had some interest in WWII as my Dad was in it and then in the Air Force. It was always a topic of conversation in some way or another while I was growing up. I really like the lightness of your tomato soup! a lovely and easy soup indeed! Deb, thanks for the author… I;ve read the Anne Rice books – and loved them. I need some new reading! Tanna, my Dad was two, and all of my uncles, but it was never discussed by any of them. Strange how different families cope, isn’t it? I loved both the “The Book Thief” and “Five Quarters”. Stephanie Meyer “Twilight” series sounds like an interesting, lighter option too. I love that tomato soup, by the way! With our homeschool curriculum I’ve read a lot of historical fiction and learned more than I ever did in school. One of my favorite WWII series is by Bodie Thoene – Zion Covenant. One of my goals for this year is to learn to make good tomato soup and say goodby to the canned stuff. It’s so satisfying to make good soup. Thanks for the recommended reads! You’re the second person to recommend Suite Francaise, and it’s been on my list for a while. I think that’s my next one, now that I’ve finished Salaman Rushdie’s “Shalimar The Clown”, which I can highly recommend, too! Great books to add to my list…now to find some time to actually read anything! 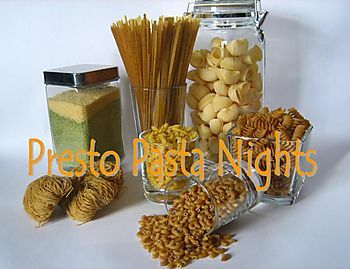 The soup looks awesome, thanks for sharing with PResto pasta Nights. Dee, I just finished the Book Thief – I loved the ending! Lynn, I’m going to try to cut out all the packaged soup (comes in boxes here) that I am so addicted to for lunch… but so expensive in so manyways. Toni, thanks for the recommendation. I’ve never read anything of his…Shame on me! I’ll correct that. Tigerfish, I like tomato anything…. Thanks for the book recommendations. Joanna Harris writes so beautifully – must read 5 quarters. And it always astonishes me what a continuing presence WWII is in Europe – from personal recollections to shrapnel holes in monuments to ruined buildings. I once was an exhibition in Vienna called Europe After the Flood – photographs taken in the aftermath of WWII and you can hardly believe how recently Europe was a continent in ruins. Jeanne, I do really like her. When we’re settled, I’m going to get some of her other ones. WWII is very close here. I have trouble getting through the first-hand accounts of concentration camp life. We always end up trying to imagine ourselves in that situation and what we would do. Every time I’ve tried to read someone’s such autobiographical experience, I just get angry that that person did not fight back more, when in fact I know nothing of what that person was going through at the time. Elie Wiesel’s ‘Night’ was the last such book I read — disturbing, but could not put it down.